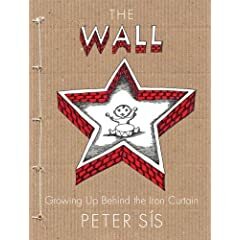 Peter Sis on The Wall. And what was it like rediscovering some of your boyhood books? It was interesting to see them again. I know some people recall growing up with The Little Prince, but some of the books I read as a child were awful. It was hard to get books at all, and many that we could get were of dubious quality. But still they would speak to me and I knew it was special to have any books at all. Looking at them again they preserved that moment in time for me, the same way as songs from the 1960s do. They help me to recall so many emotions, and so much upheaval. I am THERE. I hope my library gets a copy soon.